New Delhi, June 28: Delegating greater financial powers to various institutions within the Defence Research and Development Organization, Defense Minister Nirmala Sitharaman aims at enhancing the efficiency and effectiveness of the department. This move in Defence Research and Development (R&D) is intended to nullify the ill-effects of over-centralization and facilitate quicker decision making. With this, it is in line with similar financial delegations made to Armed Forces in the last one year. 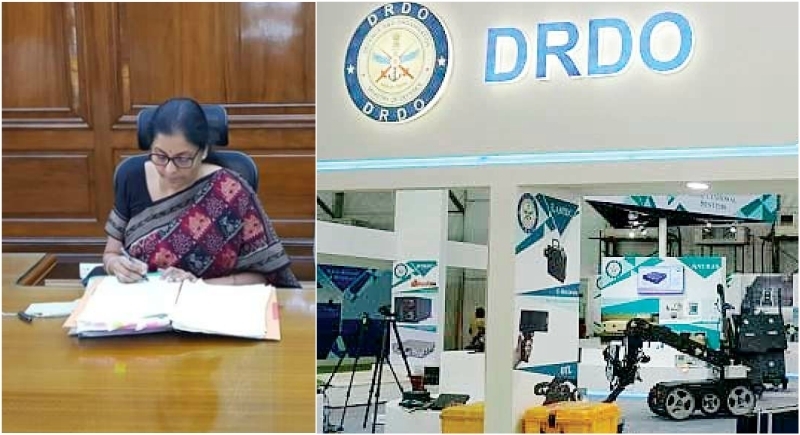 To sanction projects and procure equipment, the powers of the secretary of DRDO has been enhanced from Rs 75 crore to Rs 150 crore and for the directors general (DG) of the establishments from Rs 50 crore to Rs 75 crore. Along with this, DRDO has several laboratories which focus on different aspects of defense research. The powers of the directors general to sanction research projects to universities, technological institutions and the native defence industry under the Technology Development Fund Scheme of the DRDO have been increased from Rs 3 crore to Rs 5 crore. "The powers for sanctioning of projects and for procurement that were hitherto with the Secretary, Defence R&D have now been delegated to the Directors General of DRDO and the delegation to the Secretary, Defence R&D has been doubled". The delegation of powers for hygiene and maintenance contracts, training expenses, miscellaneous and contingent activities have been rationalized and enhanced to ensure that sanctions are given at the director and director general levels with the minimal flow of files to the DRDO headquarters. With this major move, the Director-General expressed their satisfaction and opined that these changing measures will ensure that majority of the decisions relating to implementation and functioning will be completely given to the government. Looking at the geographically dispersed Clusters and Laboratories, this move will greatly reduce file movements to and from the headquarters and facilitate faster decision-making.